The coins of the Royal Canadian Mint are high quality coins, with many being works of art that include embedded crystals, holograms, and beautiful enamel enhancements. The Royal Canadian Mint has established itself as perhaps the most innovative mints in the world while excelling in quality. 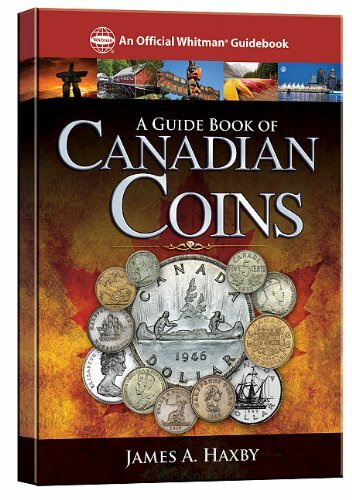 It was established in 1908, and has been supplying Canadians with circulation coins ever since. The Royal Canadian Mint produces circulating coins, commemorative coins, and bullion coins in platinum, gold, and silver. It is much younger than many other mints, such as the Royal Mint that has produced earlier Canadian coins, but has earned for itself a reputation of a world leader in coin making. Canada is a beautiful country, and autumn in Canada is particularly beautiful. Add to that the appeal of an old time steam engine and you have a combination that is very pleasing on the eye. Consider the fine silver coin titled Autumn Express. This is a one ounce fine silver coin, and would look great displayed in a home or office. The link in this article is to the Royal Canadian Mint's page, and if the coin is still available I recommend getting it directly from the mint. In that way you are assured of its authenticity, and that is has not been improperly handled. However, for those who prefer Ebay I have included a link below. 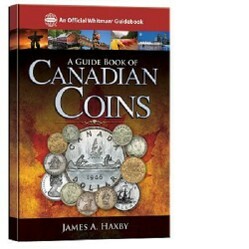 In 1867 the Confederation of Canada came into existence, along with the need for Canadian coins. There were three provinces that came together to form Canada, one named Canada that split into two, Quebec and Ontario, and the provinces of Nova Scotia and New Brunswick. Thus came the need for Canadian coins. Some few earlier pieces did exist as coins minted for the Province of Canada. The need was initially met primarily by the Royal Mint in England, and supplemented by coins bearing the H mintmark of Heaton’s Mint of Birmingham, also located in England. Then, in 1908 the Royal Canadian Mint became a reality by issuing its first Canadian coins, and is still operating as the source of all Canadian coins. In 2012 the penny was discontinued, joining the half penny province coin which has long ago been eliminated as a denomination of Canadian province coins. The fifty cent coin is also no longer issued for circulation, but can be found in gold and in silver as commemorative pieces intended for collectors. The twenty cent piece of 1858 was a coin issued for the Province of Canada, and this denomination was not used for coins of the Confederation of Canada. 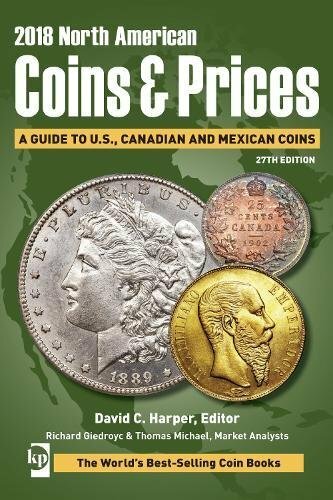 The highest coin issued in the uncirculated and proof sets for collectors is the two dollar twonie, a popular coin of great acceptance in Canada. The older Voyager dollar is highly collectible, possibly due to its silver content. The silver content is small enough that the Voyager dollar has not soared to unreachable heights for the collector. The Voyager dollars are those depicting a canoe. Current dollars issued for circulation are called loonies, with an image of a loon on each coin. These are base metal coins, and usually not expensive at all. The best way to get all circulation issues for a given year, and have them in high quality, is to purchase an uncirculated coin set. The coins are sealed by the mint, and sent out in a high quality condition. Proof coin sets contain coins that are struck with added pressure to assure a better strike on carefully selected planchets, or the blank disks used for coins. These are coins of extremely high quality, and come protected in mint packaging, in which they should be kept. In 1998, double dated coins bearing the dates of 1908 and 1998 were issued in special proof sets to commemorate the 90 th anniversary of the Royal Canadian Mint. Some sets have been taken apart, and individual coins bearing the double date are often available on Ebay. The Royal Canadian Mint is currently conducting a contest to design the coinage for the 150 th Anniversary of the Confederation of Canada. The contest is limited to Canadians. It will be interesting to see what special design becomes the winner. It is nice to have the people have a say in the design of their coins. A Leader in Metal Purity for Coins. The Royal Canadian Mint makes bullion coins with a 0.9999 purity, and has been doing so for years. It is a leader in going to the next level in coinage. This purity is carried over to its commemorative coins. 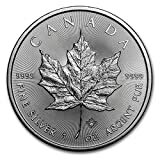 The main silver bullion coin of the Royall Canadian Mint is the one Troy ounce fine silver Maple Leaf. The Maple Leaf is occasionally enhanced with a privy make. From 2011 through 2013 the Royal Canadian Mint issued a six coin bullion set at a rate of two per year, the Wildlife Series. This was followed up with the four coin Birds of Prey series in 2014 and 2015, again with two per year coming out. These new bullion coins are quickly becoming collector coins. Now, a smaller three-fourths of an ounce Wolf and a one and a fourth ounce Maple Leaf Cluster offer a variety to the sizes available in silver bullion coins. Unfortunately, silver bullion coins are not sold through the Royal Canadian Mint’s online store. The gold Maple Leaf is an excellent choice in bullion. It comes in a variety of sizes including the one Troy ounce and many fractional sizes. These coins have a purity of approximately 0.9999, and are stunning to look at. Unfortunately, gold bullion coins are not sold through the Royal Canadian Mint’s online store. Platinum coins in small sizes with a Maple Leaf design are among the few platinum bullion coins available. Unfortunately, platinum bullion coins are not sold through the Royal Canadian Mint’s online store. The Royal Canadian Mint makes some of the most beautiful enameled commemorative coins one can find. Perhaps it is the subjects chosen, or perhaps it is the quality of the work of the mint. I feel it is a combination of both of these factors. Some enameled coins come in short series, making collecting an entire series possible. Many of these series are issued both individually and as a subscription. A subscription is a way of being guaranteed that the Royal Canadian Mint will have the entire series available for you as you buy the coins one at a time, which makes the series easier to purchase. Below are some links to incredibly beautiful Canadian coins. The Royal Canadian Mint makes a number of holographic images on coins, some as part of the image and others as a cameo located in an empty part of the field on the reverse, or tails side, of the coin. The hologram can cause the coin to change color as the angle of view changes when viewing many of these coins. Less expensive base metal hologram coins are often minted, making owning this exciting technologically enhanced coin type affordable. Some Venetian glass inclusions in coins have been issued, and continue to come out. These coins are unique, and quite different from what most mints are offering. The coins enhanced with Venetian glass are also colorized, making them really attractive. The Royal Canadian Mint embeds Swarovski crystals, some of which are clear and others in color, in coins. Several coins with Swarovski crystals are issued each year. Most are silver coins, but a titanium coin depicting a flower with a crystal dew drop is one of the most attractive coins ever issued. Niobium coins are different, and few mints can handle minting them. They are silver coins with a niobium disk in the center. The royal Canadian Mint has made several such series, and the first series, the four coin Full Moon series, is in my opinion the better of the two. The niobium is colorized by anodizing, and this gives a completely different effect than would enameling a coin. Another technological advancement in use in enhancing coins includes making lenticular coins. Lenticular design includes multiple images that are combined to produce a three dimensional effect. When gold is applied selectively to a silver coin the contrast in the two metals can produce a spectacular result. Some silver coins from the Royal Canadian Mint are selectively gilded with gold. One gilded coin that is often minted is the gilded version of the Maple Leaf, with a stunning result. Some gold enhanced Lunar Series coins have also been released over the history of the series. Gilding silver coins is yet another way in which the Royal Canadian Mint produces a wide range of high quality coins. Glow in the dark coins have been produced for years. The early glow in the dark releases include dinosaur coins, which were base metal coins. A commemorative coin from the Royal Canadian Mint should come in mint packaging, a box and a display case, then a protective capsule. A coin should be accompanied by a Certificate of Authenticity, and these certificates are often numbered. The Royal Canadian Mint has been issuing 20 for 20 coins, which are twenty dollar coins sold for twenty dollars. These are fine silver coins, and generally are issued in a low quantity. And, shipping is free to the United States and to Canada for orders of a least one hundred Canadian dollars at the time this is being written. This program has been so successful that one 25 for 25 colorized silver flag coin was released to celebrate the fiftieth anniversary of the Canadian Flag, and 50 for 50, 100 for 100, and even 200 for 200 coins have come out. The above are restricted to residents of the United States and Canada. In addition, and restricted to only Canadian residents, special quarters and loony dollar coins are sold at face value. This is a way of giving the potential coin collectors an opportunity to get started with a no risk group of coins, and is a welcomed way to get new collectors started. The obverse of Canadian coins bears the effigy of a monarch of the United Kingdom, and the Canadian coins follow the pattern of reversing the direction the monarch faces. The exception is that King George V and King George VI both face to the left, perhaps leaving a place that would have been occupied by the brief reigning King Edward VIII. I can find no coin in the catalogue showing an effigy of King Edward VIII. 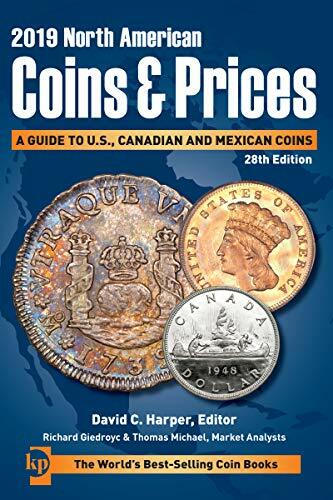 Buying foreign coins from the Royal Canadian Mint can be a huge savings, since shipping to the United States and Canada on orders over one hundred Canadian dollars is free. Some mints have high shipping costs for international destinations. The coins bought through the Royal Canadian Mint are authentic. Counterfeiting of new coins has become a problem, especially with counterfeits coming from China. This is a way of guaranteeing authenticity in the coins you purchase. While not every coin is available, those that are can be safely bought from the Royal Canadian Mint.